When Fitzroy first opened, people were instantly talking about Melbourne or Australian cuisine. 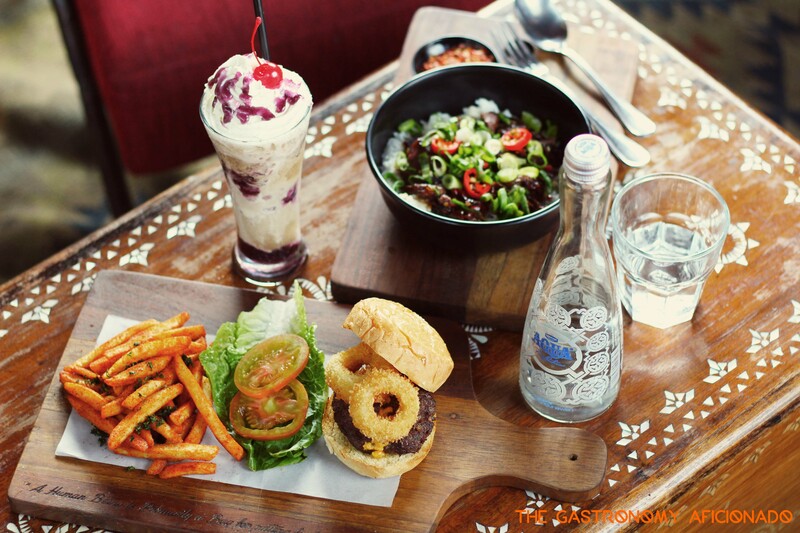 What we found out about it with our own eyes was that it’s not all about the food, Fitzroy brings a piece of nostalgia from the legendary neighborhood of Melbourne to Jakarta. As we all know, the original neighborhood is a den of creativity filled with commissioned murals, bookstores, indie apparel and footwear designer stores, and those who frequent underground pubs that serve great food, drinks, cocktails, and live music all day. So if you’re heading up to the top floor of the building where Fitzroy resides, you will find yourself back in familiar terrain,especially for those who miss Melbourne a lot. 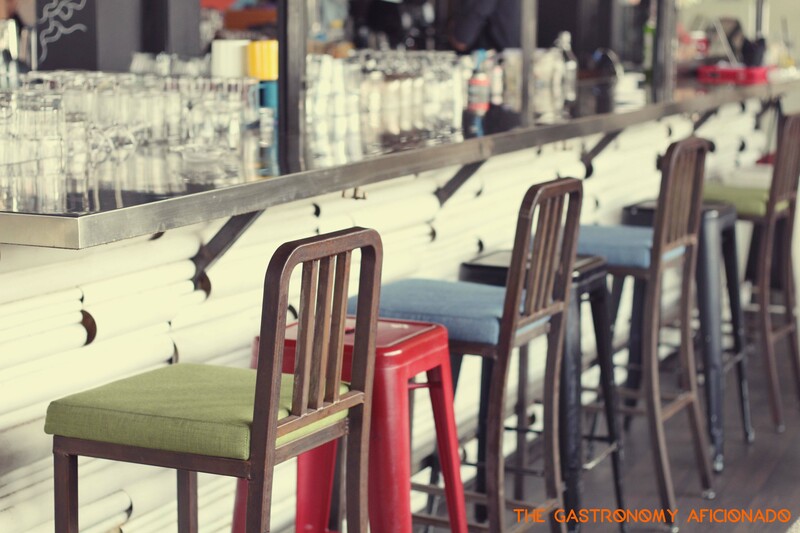 The bohemian eclectic interior style that incorporates homey elements, flowers and metals, and Japanese earthy-tone furniture with an island bar in the center part of the gastropub has become the factors that makes Fitzroy well-liked among youngsters and sundowners. The ambiance is also another wow factor here. For hipsters of modern indie bands and oldie goodies that tune in right away with nowadays genres, you can all rest easy with the semi dancing treat and ear comforting tunes coming from the likes of Kings of Convenience, America, The Radio Dept., and many more. 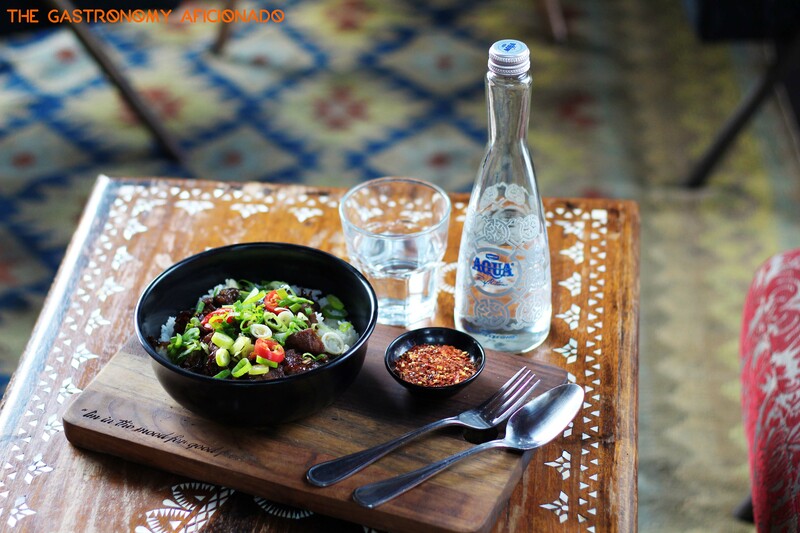 The food is no short of nostalgic as they traverse through time and space to bring in the legendary beef tongue rice bowl or menya don of their interpretation to Jakarta. Another upgraded take on bar food served here is the burger with homemade cheese-stuffed beef patty accompanied with really spicy fries. 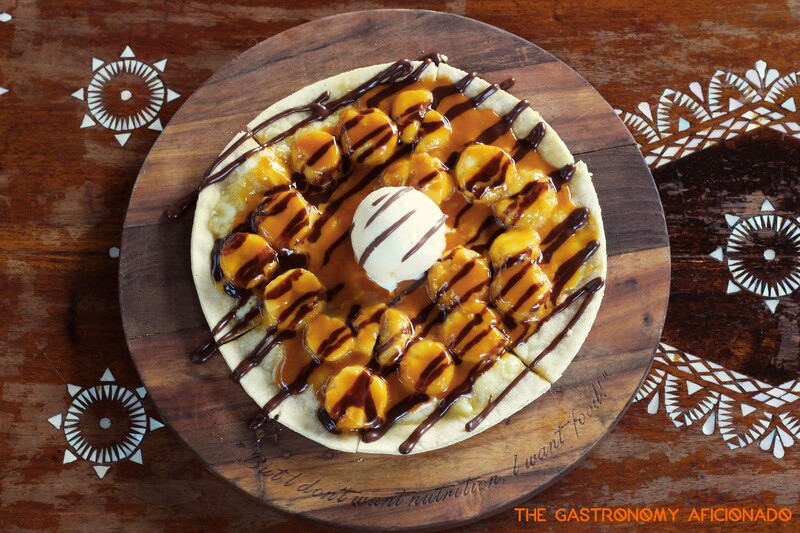 Ice cream would be a good way to end your meals here, especially when it tops a pan pizza with banana caramel and complement it with a tall glass of blueberry root beer. But of course, feel free to stay late because everybody needs their hang out time, at least to wait for the traffic to subside over drinks and good friends or stay out even much later as Fitzroy is open until late at night every day.